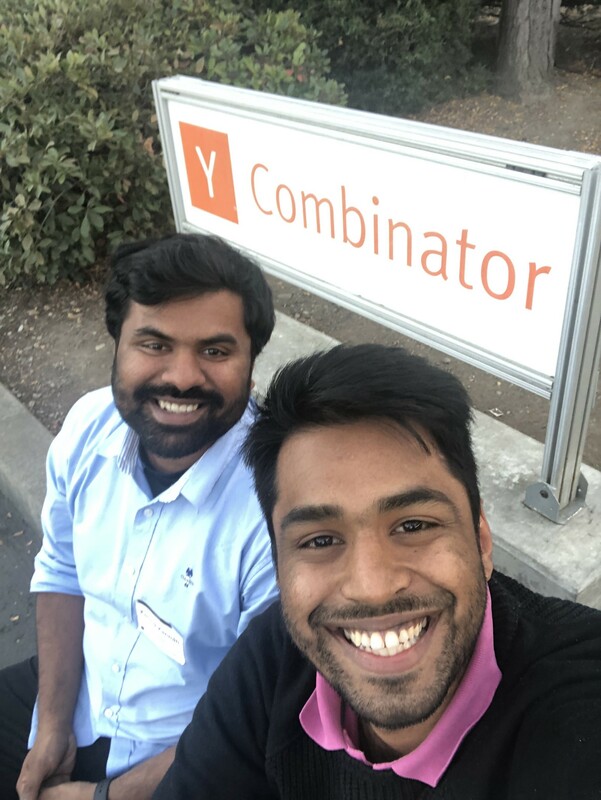 What we learnt while trying to get into Y Combinator. Every entrepreneur who has been passionate about the world of tech startups has dreamt of Y Combinator. Those who go through it, speak of it like Hogwarts. Those who don’t get to, speak of it like sour grapes. This is the story of a third kind. 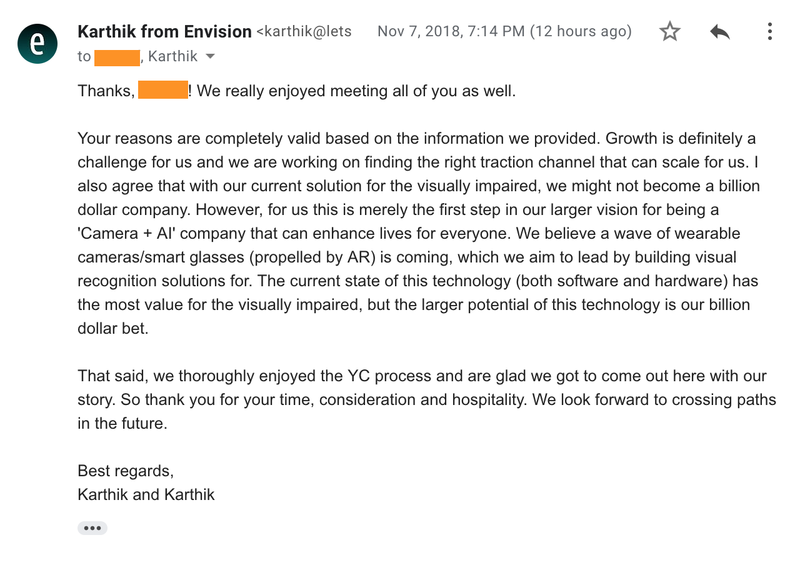 We had previously applied to YC a year back, when our idea, Envision, was still in its infancy. We had not validated anything, the revenue model was 🤷‍♂, we were naive about how long the tech will take to develop. However, the process of filling out that application form really helped us realise this. By the time the rejection came along, we knew what exactly we need to be working on/towards. When we applied the second time, filling out that application form felt exciting, we had (almost) all the answers. The subsequent skype interview went great as well because we have been at this for a year and knew there’s nothing someone can ask us that we haven’t thought of already. Now it was time to see how far will this enthusiastic optimism take us. Our eyes were glued to the window on our trip from the San Francisco airport to our Airbnb in San Jose. Every passing landmark, billboard, office or street name felt new yet familiar. We didn’t make any plans on our first day. Went to a Target and ate at a Chipotle and that was about it. The next morning we were on a Uber straight to YC where we checked in (much earlier than we were supposed to). Then we did what we do at any new city we end up in, found the best coffee place to work out of. Because even though we had the interview in an hour, work never stops. 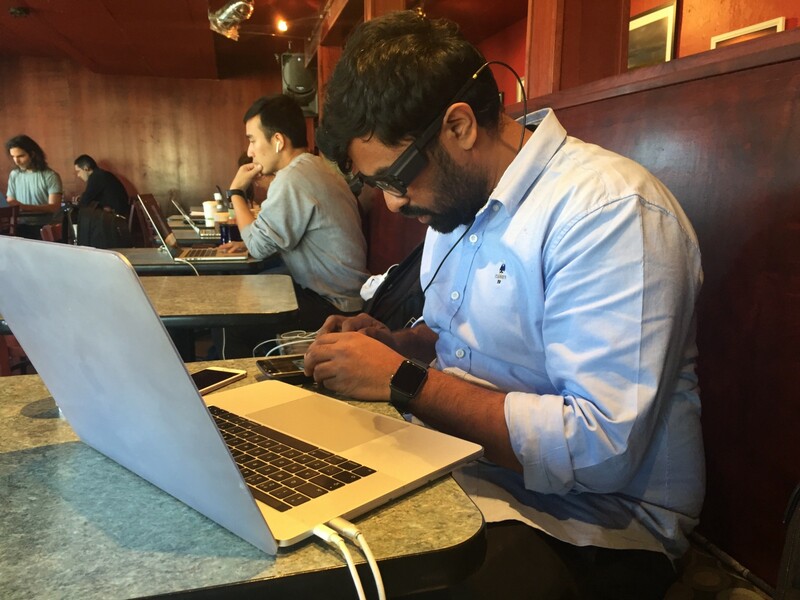 That’s Karthik (Kannan) prototyping with the glasses minutes before the interview. 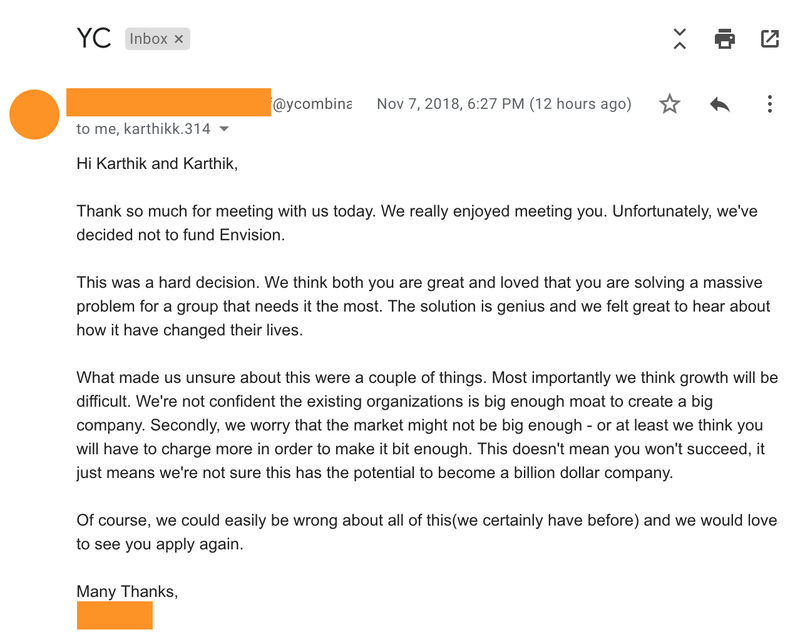 The time for the interview arrived, we walked into a room with three YC partners and the moment they started speaking, all our prep went out of the window. We knew from what we had read that the tempo of these interviews was very fast paced, but this was much faster than we had anticipated. We did a bunch of things wrong, we spoke over each other, gave longer than necessary answers and failed to be coherent. When we walked out, we knew that we had given it our best shot, but this time the best wasn’t going to cut it. Our biggest regret was our failure to get the bigger picture of Envision across. Since so much of the questions were about our short term goal, our first steps, our answers mostly focused on defending that. We felt we should have done more to steer the conversation towards Envision’s bigger (billion dollar worth) picture. In conclusion, we really loved the whole YC experience. Despite the rejection, it provided us with key insights and reflection points. Hence, if you are a team working on an idea, no matter what the stage, just apply for YC. Because YC is neither Hogwarts nor Sour Grapes. It’s not about what you will learn once you are there, but also about what you learn while you try to get there.